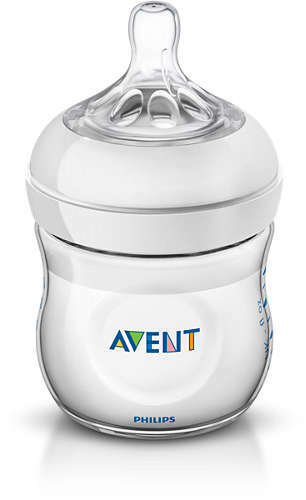 Our new bottle helps to make bottle feeding more natural for your baby and you. The teat features an innovative petal design for natural latch on similar to the breast, making it easy for your baby to combine breast and bottle feeding. 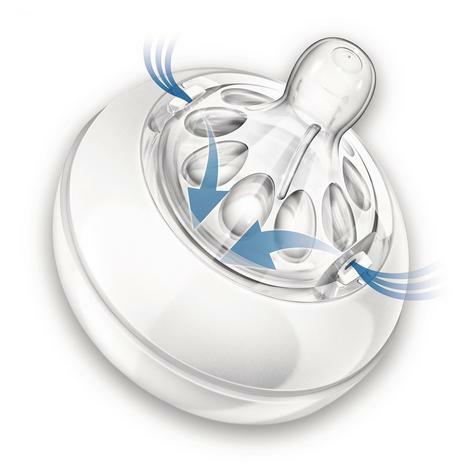 The wide breast-shaped teatpromotes natural latch on similar to the breast, making it easy foryour baby to combine breast and bottle feeding. 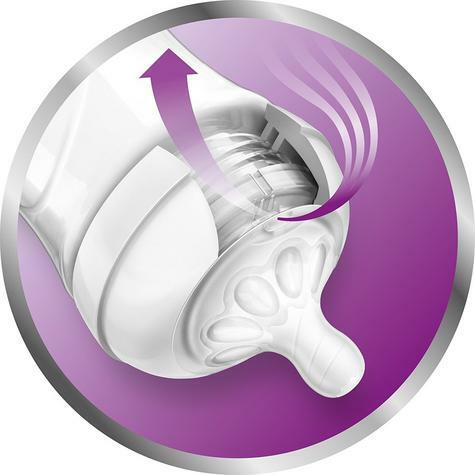 Petals inside the teatincrease softness and flexibility without teat collapse. Your baby willenjoy a more comfortable and contented feed. 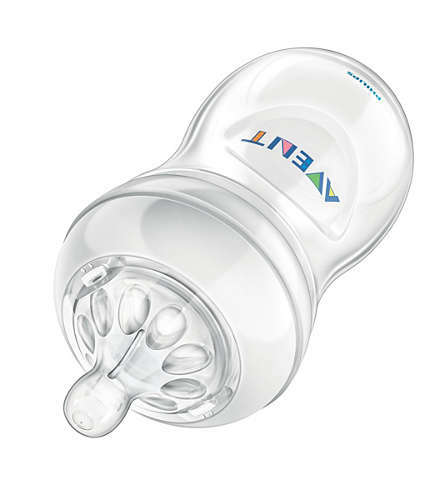 Innovative twin valvedesign reduces colic and discomfort by venting air into the bottle andnot baby's tummy. 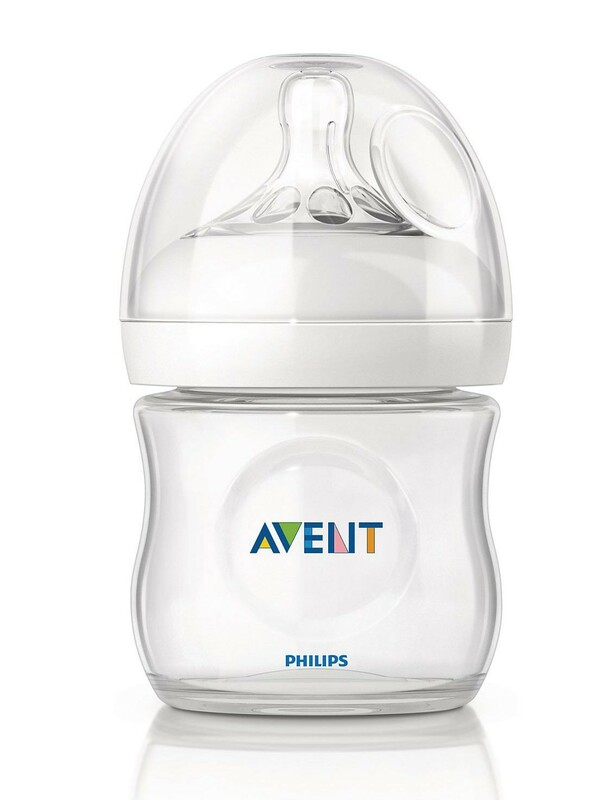 Due to the unique shape,the bottle is easy to hold and grip in any direction for maximumcomfort, even for baby's tiny hands. Wide bottle neck makesfilling and cleaning easy. 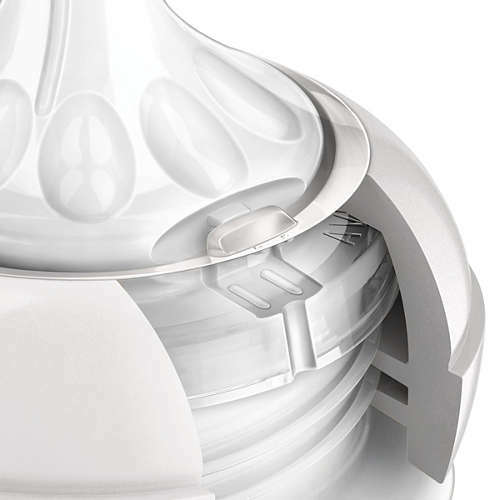 Only a few parts for quick and simpleassembly. 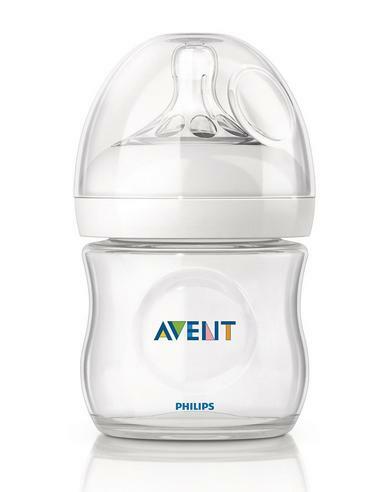 The new Philips AventNatural bottle is made of BPA free* material (polypropylene). 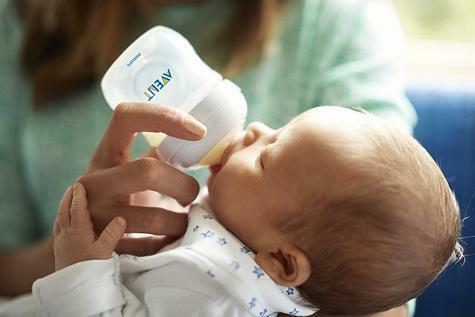 Since 1984, Philips Aventhas been designing and manufacturing products that are inspired bynature and have been developed through extensive research and clinicaltrials. 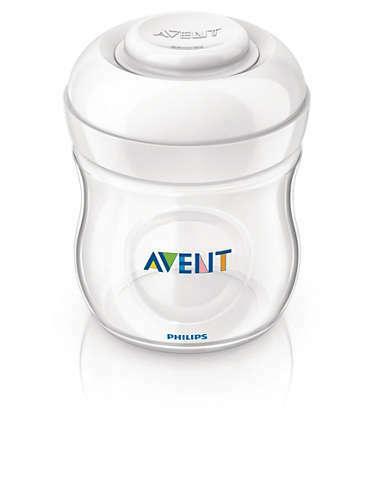 The Philips Avent Naturalbottle is compatible with the Philips Avent range, excluding Classicbottles and cup handles. We advise using the Natural bottles withNatural feeding teats only.